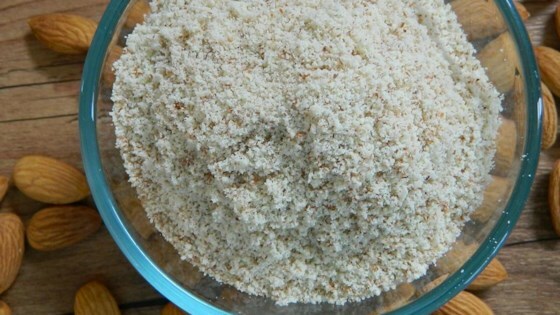 "I use almond flour with many of my recipes but it is very costly. I want to experiment with a few inspirations for the holidays therefore decided to make my own almond flour. I had a huge bag that I purchased a while ago to make a nut crunch. I used my food processor but I bet you can do the same with a coffee grinder as well. My advice would be to pulse it because I fear if you over blend you will end up with almond butter. It came out perfectly so now off to cooking land!" Place almonds, about 1/4 cup at a time, in the food processor. Pulse until you reach a flour-like consistency; sift into a container. Place any remaining almonds chunks back into food processor and pulse. Repeat until all almonds are transformed into flour. Cover container and store flour in refrigerator. See how to prepare a lively, super-versatile fresh salsa. I suggest using a blade-type coffee/nut grinder instead of a coffee mill which gets clogged and cannot handle full size nuts.This will produce a fine powder which makes perfect use in cakes. Perfect! Store-bought almond flour costs 43 Euros per kilo for me, whereas I can buy organic almonds for 19 Euros per kilo! Thank you for opening my eyes to something so simple yet useful!